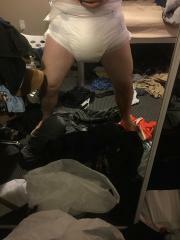 Hey guys, I'm an abdl from the lehigh valley (despite the name) looking for others around. let me know, always looking for others to meet and hang out!! Hey just wanted to say hi. I live in Allentown. I'm actually in Alaska rn but I'm headed back in like 2 weeks so I figured what the hell I'll say what's up. Hey Duke, I'm an abdl in morgantown. its almost impossible to find people around here who are abdl, I love video games, fifa is probably my favorite GTA is awesome too. whats your favorite movie?